Infinity Insurance Reviews - Is it a Scam or Legit? For more than 60 years, Infinity Insurance claims to have offered home, auto, and business insurance (and more!) at prices that fit within customers’ budgets. In business since 1950, Infinity Insurance promises to deliver the coverage you, your family, and your business need, at prices that fit within your budget. This includes auto and homeowner’s insurance, umbrella policies, commercial coverage, life insurance, and much more. Today, Infinity claims to rank among the top 50 Property and Casualty Insurance Companies in the country, to be one of the fastest-growing established vehicle insurers, and to boast an “A” (or “Excellent”) financial stability rating from A.M. Best. No only this, but the company claims their ability to purchase a policy through their site can save you even more money, while their iOS and Android apps can keep you connected and save you time. But you’re here because you want to know how (or if) Infinity is different than the hundreds of other companies also claiming to provide the coverage you need for less. Should you leave your current carrier and sign up for an Infinity Insurance policy? What are the company’s customers saying about their experiences? We’ll break it down here so you can make a more informed decision. How Does Infinity Insurance Work? Auto – Infinity allows you to choose from 3 standard auto coverage options, or to choose the coverage that best meets your needs and budget, whether you’re looking for state minimum or full coverage. Plus, you’ll be able to get discounts for multiple cars, having a homeowner’s policy with Infinity, and more. ATV – Whether you use your ATV for work or play (or both), Infinity claims they can provide affordable quote with three pieces of information: 1) the make, model, age, condition, and mileage of the ATV, 2) who will drive the ATV, and 3) your most recent insurer’s information. RV – Not only for RVs, but also “class A, B, and C motor homes; motor coaches; camper vans; and travel trailers.” Infinity’s RV coverage is provided by non-affiliated insurance companies. In other words, Infinity will underwrite (pre-qualify) and service your policy, although your actual coverage in the event of a loss will be through another carrier. Boat – Similar to an auto policy, and Infinity boat policy will provide coverage for property damage and bodily injury liability, but also for trailers, water towing service, and even roadside assistance. Classic car – Unlike a standard auto policy, Infinity’s classic car insurance can deliver Agreed value, drive-to-work, and newly acquired vehicle coverage, and more. According to the company, they’ve been serving classic car owners since 1992, with $1.2 billion worth of classic vehicles insured, as well as over 50,000 customers in 42 states. Business – Includes commercial property insurance, business owner’s policy (BOP), professional liability (errors and omissions), worker’s compensation, inland marine insurance, key person life insurance, home-based business insurance, and more. Commercial Auto – Whether you need to insure a full-size van, pick-up, utility trailer, cargo van, flatbed truck, and more—and whether they’re used in farming, contracting, sales, or delivery—Infinity’s commercial auto insurance could be what you need. Commercial General Liability – Can protect you from “the risks associated with running a business,” such as property damage, bodily injury liability, legal fee coverage, and advertising and personal injury coverage. Renters – Renters policies generally don’t provide coverage for a structure, like with a homeowner’s policy. Instead, they will provide coverage for personal property (clothes, jewelry, TVs, furniture, computers, etc.) and personal liability coverage (if someone gets injured). Mobile Home – Again, many of the coverages will be the same as a traditional home policy, but tailored specifically to the needs of mobile or manufactured home owners. Flood – According to Infinity, flooding is the “most frequent and expensive type of natural disaster in the U.S.,” but unless broken pipes cause it, it’s not covered under a standard home policy. Condo – Also referred to as townhouse or co-op insurance, these policies are intended to cover your belongings and liability exposure that’s not already covered by the association’s master policy. There will also be specific coverages like loss assessment, ordinance or law, loss of use, and more. Life – Although coverage is provided by non-affiliated insurance companies, Infinity’s life insurance process is simple: “select the amount of coverage that you think is necessary to support your loved ones, pay a premium over a set period of time, and relax knowing that you have covered all of your bases.” Some of their more popular options include 10, 15, 20, and 30-year term policies. Health – Health insurance can help protect you from unexpected medical bills, not to mention the fact that it’s now required by law under ObamaCare. With Infinity’s policies, you’ll be able to choose the right deductible (out of pocket expenses), co-pay, and coinsurance that meet your needs. Umbrella – Covers you for liability exposures not covered (or exceeded by) your underlying auto, home, or boat policy. This includes lawsuit protection, defense cost coverage, and more. What Is Infinity Insurance’s DriverClub Program? Although membership in the DriverClub program is free (you don’t even have to be an Infinity customer to sign up), the company tells us that you’ll still need to pay for services used. How does DriverClub compare to other services like AAA and AutoVantage? Will you really pay lower rates for these services? Exactly how are these third parties screened? What criteria must they meet? What behaviors must they adhere to? Since Infinity doesn’t provide any additional information, these are just a few of the important questions for which we’re not provided answers. If you’re looking to obtain an Infinity quote, you can either start the process online, call the company direct at 1-800-INFINITY, or contact a local independent agent who represents the company. Regardless of which option you choose, the company will need to know information for drivers in the household (name, birthdate, license number, etc. 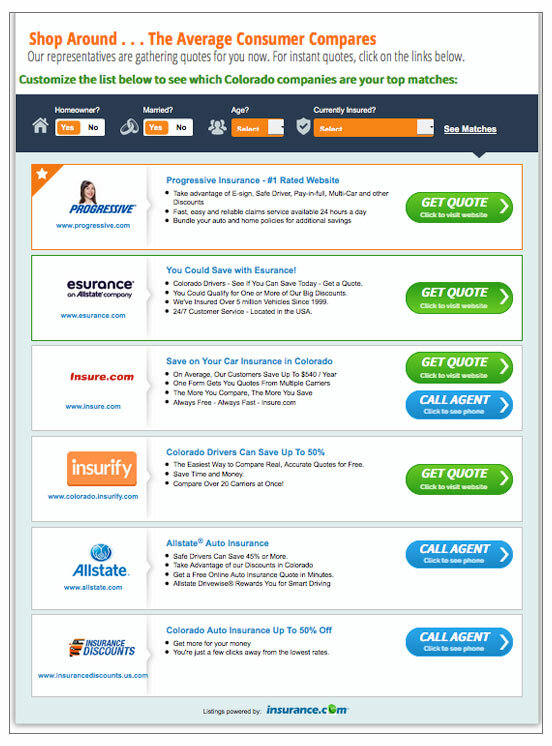 ), car info (year, make, model, and VIN), as well as information about your most recent insurer. I tried the quote engine directly and found that, if you only have a couple drivers and/or vehicles with no citations or accidents, it’s possible to complete in just a couple minutes. However, if you have additional activity, it’ll almost certainly take you longer. What happened after I entered all of my information looking for an auto quote? I was redirected to a page that informed me representatives were “gathering my quote.” In other words, this means that you won’t have a number in front of you. Instead, you’ll need to wait for independent Infinity agents to contact you directly. We’ll come back to this thought in the final section. After entering all of our information for an auto quote, we were only told that representatives are “gathering my quote.” This probably means I can expect a lot of phone calls and/or emails in the near future. How Much Does an Infinity Insurance Policy Cost? DriverClub membership is free, and you only pay for services used. However, as we mentioned above, there’s no indication what these prices will be, or if they’re meaningfully lower than other roadside assistance programs. You can save up to 25% on your auto policy by moving your homeowner policy over as well. Compared to pretty much any other insurance carrier out there, these are par for the course. What’s different with each carrier, however—and what generally has the biggest impact on your premium—is the different variables present in the company’s rating model. Let’s briefly talk more about this next. In the old days, an insurance underwriter could rate a policy by hand using a simple table. Driver under 25? Add a factor of 3. Been driving for more than 5 years without any tickets or accidents? Decrease the premium by 15%. And so forth. In modern times, however, most companies have moved over to something called multivariate rating systems. Here, every single variable in an auto policy (or any other types of policy) interacts with every other variable in unique ways. And because of this, there can be millions of individual variables that can either raise or lower an individual’s premium. Now, the main thing to remember here is that each insurance carrier can alter the impact of these rating variables, depending on the type of business they’re trying to gain. Looking to attract youthful drivers and keep them over the long term? Drop your ‘under 25’ variable down to a factor of 1.25. Want high-quality drivers who have been on the road a while? Increase your discount from 15% to 20%. What’s the point in telling you all of this? Assuming Infinity, like most modern insurance carriers, uses a multivariate system, then what you’ll pay for your policy could vary greatly from the next person. Pro tip: Remember that when an Infinity agent contacts you, it’s important to provide them with all the correct information upfront. Otherwise, even seemingly inconsequential details like a single wrong number in the VIN, a birthdate off by a few days, or a wrong policy effective date—in addition to whether or not the company is looking for drivers (or homeowners, business owners, etc.) like you—can drastically impact what you’re quoted versus what you end up paying once your policy is active. Any Online Reviews From Infinity Policyholders? What About Claims? On Yelp, Infinity Insurance had 105 reviews and a 1-star average rating at the time of our research. Overwhelmingly, most of these seemed to reference less-than-stellar claims experiences—generally related to a lack of response from adjusters—although they also seem to have a customer reputation for denying claims from third-party drivers who were hit by Infinity policyholders. Pro tip: To this point, one of the biggest gripes among current and ex-Infinity employees (at least according to feedback on Glassdoor) is that workload can be unmanageable, leading to poor customer service. We’re certainly not validating this claim; we’re only including the information to perhaps provide some additional perspective into the situation. On the Better Business Bureau website, Infinity Insurance had an A rating, despite 473 closed complaints (as of 7/25/16). Again, most of these complaints referenced claims issues, including delays resolving claims/completing repairs, rental vehicles not covered, etc., as well as poor customer service. Given this level of feedback, does this mean you should stay away from Infinity Insurance? Is Infinity Insurance the Right Carrier for You? As such a large carrier with hundreds of thousands of current and past policyholders, it’s inevitable that Infinity Insurance—or any other company, for that matter—is going to accumulate some negative feedback. But with so many complaints that reference the same potential concerns (negative claims and service experiences, specifically), this might be something worth considering before signing on the dotted line. As a former underwriter for a top 10 insurance company, my recommendation would be to contact an independent Infinity agent directly and inquire about the coverage provided on their policies, their claims reputation, whether or not they think your variables would provide a lower price, and how Infinity compares to other popular carriers like Hartford, Amica, Hagerty (especially when it comes to classic insurance), and more. After all, as we mentioned at the beginning, every company claims to save you money and to outdo the competition in one way or another. However, by getting feedback directly from an agent, you’ll be able to cut through the marketing and find out if Infinity Insurance really is your best option. At any rate, you’ll be contacted by an agent if you enter your information on the Infinity website, so you might as well save yourself some time, cut out the middlemen, and initiate contact yourself. Are you a current or former Infinity policyholder? If so, what type of policy did you carry? How did you find the customer service? Did you ever file a claim? Give us the inside scoop by writing a review below! 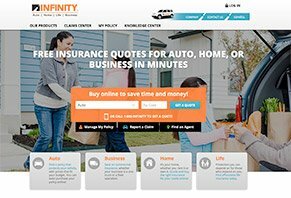 Write a Review for Infinity Insurance!